Do you ever give in to a junk food craving? Everyone probably does now and again, except for the most diligent and strident among us. And while I can't personally eat McDonald's french fries — they're not vegetarian, thanks to beef flavoring — a great many people I know can't resist that fatty, crispy, salt-slathered taste. Unfortunately for any such people living in Japan, however, the gravy train is starting to run out. That's because a McDonald's fry shortage in Japan is forcing smaller portions onto consumers, with the company limiting how many fries a person can buy in one order. Call it the frypocalypse, if you like. While it probably never hurts to cut back on your fried-potato intake — gotta watch all that starch, after all — it's a safe bet that some of McDonald's Japanese customers will be chagrined by this. I personally can't fathom why you'd want to eat at a McDonald's with a panoply of Japanese food options all around you, including other fast food brands domestic to the country, but to each their own. In any event, The Guardian reports that severe shipping delays from the U.S., thanks to disputes between dockworkers and shipping lines, have imperiled the Japanese fry supply. In short, only small-sized bags of fries will be sold "for the foreseeable future." So in other words, if you're in Japan and were planning a world-class "potato party" for this holiday season, you may be out of luck. You may or may not have heard of potato parties — it's basically a paean to french fry gluttony, which bizarrely became a thing in both Japan and South Korea in recent years. The concept is about as simple as it gets — groups of teenagers, still in the throes of their invincible youths, order up a grossly ridiculous amount of McDonald's fries, slide into a booth, and start the feeding frenzy. Often resulting in bizarre and shocking images of a miniature mountain of fries, the fad's drawn a lot of criticism fro McDonald's employees, and (I'm guessing) probably proves disconcertingly for fellow diners. This is by no means to suggest that these two news items are actually, meaningfully related, but it's nonetheless a grim irony. I'm willing to bet there are some folks in Japan who're wishing they'd stashed some of their enormous trays of french fries for a rainy day, now. 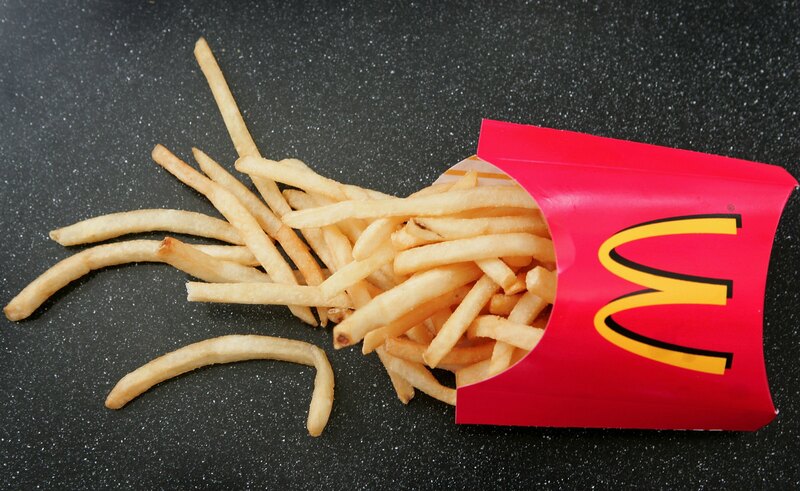 According to The Guardian, McDonald's is tackling the shortage aggressively, flying in 1,000 tons of fries in the near term, with another 1,600 tons on the way in late January. But regardless, as a McDonald's Japan spokesperson told Reuters, the portion-rationing must go forward. Unfortunately, without this sales restriction step, we would run the danger of running out of fries at some of our stores around the end of the year or beginning of the new year.